Begin your European tour in magical Paris, the “City of Light,” where you embark upon your luxurious river cruise ship, MS Amalegro. Visit Honfleur, a charming French harbor town immortalized by generations of artists. Stroll through Rouen, the historic capital of Normandy, then take an unforgettable excursion to the famous Normandy beaches of WWII. Visit Les Andelys, home of Château Gaillard. Conclude your European river cruise with a panoramic tour of Paris’s top sites and a visit to the Musee d’Orsay. Arrive in Paris and embark your luxurious ship. Meet your fellow passengers at the Welcome Dinner. Spend the morning enjoying the scenery along the Seine as you cruise to the provincial town of Vernon. Upon arrival, take some free time to explore the town at your leisure. Later, visit Giverny and the home and gardens of Impressionist master Claude Monet. The artist lived here for more than four decades and immortalized his ponds and flower gardens in some of his most iconic paintings. The ship moors overnight in Vernon. After a scenic morning cruise on the Seine, arrive in the old fishing village of Caudebec. Choose between two different tours. The first option is to visit Honfleur, a historic and picturesque port with pastel-colored houses that was a favorite subject of artists such as Courbet, Boudin and Monet. The town’s medieval Sainte-Catherine church, with its separate bell tower, is the largest wooden church in France. 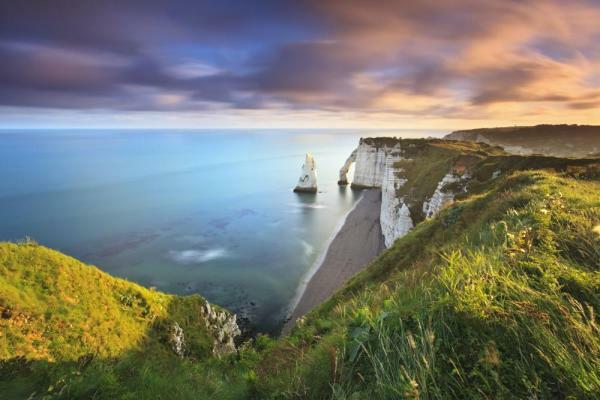 As an alternative, choose the "Routes des Abbayes" excursion spotlighting Normandy's famous abbeys, more than 100 of which once covered this region. Visit the ruined abbey in Jumièges as well as St. Wandrille, still a working monastery. Today, you have the choice of three different excursions. 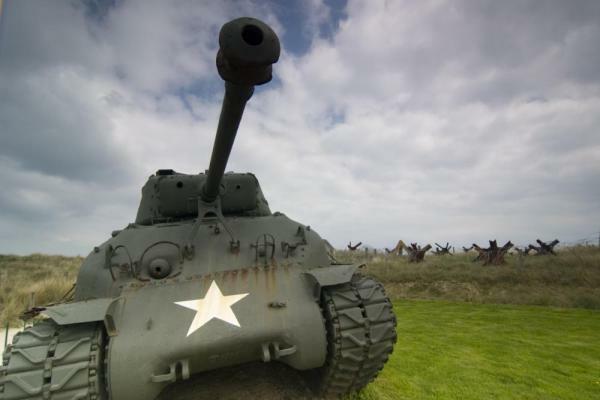 “D-Day Remembered” is a full-day excursion to the US sector. Your first stop is the village of Arromanches, where the remains of the floating harbor used during the WWII landings can be seen. Have free time to see the museums before visiting the US Cemetery and Omaha Beach at St. Laurent-sur-Mer. Your last stop is the artillery battery at Longues-sur-Mer before returning to the ship in Caudebec. 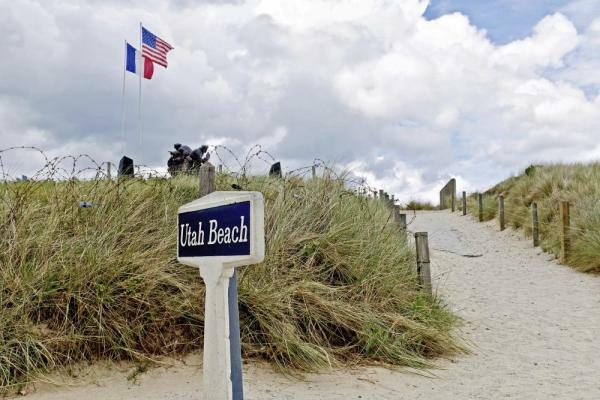 As an alternative, you can tour the Gold and Juno beaches in the British and Canadian sectors. Your first stop is the Pegasus Monument in Ranville followed by Canadian cemetery at Beny-sur-Mer. You also have the chance to visit the Juno Beach Centre, Canada’s WWII museum, with a final stop at Arromanches. A third option is an excursion to rural Normandy, which includes a visit to the Pays d’Auge and “Routes du Cidre” (the Cider Road). Visit beautiful Norman towns and villages, such as Beuvron-en-Auge, Crevecoeur-en-Auge and Cambremer, and tour a Calvados distillery where you may sample apple cider and apple brandy. Enjoy a morning walk through the medieval city of Rouen and see the imposing Notre Dame Cathedral, painted numerous times by Monet, and the square where Joan of Arc was martyred. Afterwards, have free time to explore Rouen on your own. Depart Rouen early this morning and enjoy scenic cruising on the Seine to Les Andelys. A mid-day stroll along the river offers beautiful views of the Seine Valley’s dramatic white cliffs, centuries-old half-timbered houses, and the hilltop ruins of Château Gaillard. This former stronghold of Richard the Lionheart changed hands a number of times during the Hundred Years’ War. Athletically-inclined guests may enjoy hiking up to visit the ruins of this historic castle before you continue your cruise along the Seine. The ship arrives tonight in Conflans. Today, you have a choice of two excursions. The first option is to visit Château Malmaison, former home of Emperor Napoleon Bonaparte and his wife Josephine. Your tour includes the Château’s interior, gardens and museum. Alternatively, travel to Auvers-sur-Oise, a town famous for the Impressionist painters who lived there in the 19th century, such as Paul Cézanne and Camille Pissarro. Your “Artists’ Walk” tour includes many sites associated with their work, including the Auberge Ravoux, former home of Vincent van Gogh. The upstairs room where Van Gogh died has been meticulously preserved. He and his brother Theo are both buried in the nearby town cemetery. The ship departs this afternoon for Paris, arriving in the evening. After disembarking the ship this morning, guests participating in the post-cruise extension in Paris may enjoy a panoramic tour of Paris plus a visit to one of the city’s most renowned museums, the Musée d’Orsay, built in a former railway station on the Left Bank. Its collection of Impressionist and Post-Impressionist masterpieces is the largest in the world and includes well-known works by Monet, Manet, Degas, Renoir, Cézanne, Seurat, Sisley, Gauguin, and Van Gogh. After touring the museum, transfer to your hotel. Today is yours to enjoy however you wish. 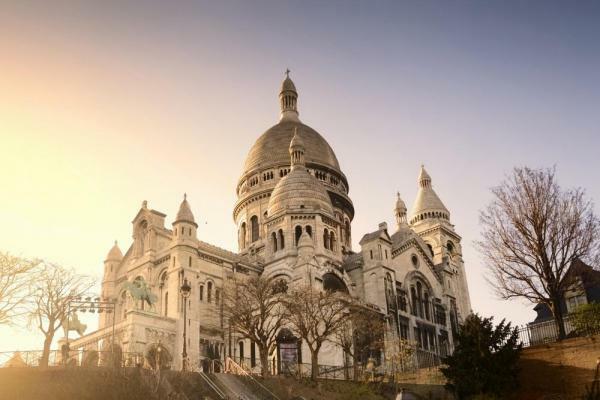 Explore Paris’s multitude of landmarks, museums, cafes and shops, or choose one of several optional tours. Launched in 2007, the MS Amalegro is part of the newest, state-of-the-art fleet of river cruise vessels in Europe. Embrace the romantic air of France as you explore the cosmopolitan gem of Paris! From the Eiffel Tower to the Louvre, cuisine, art, culture, and history come to vibrant life. 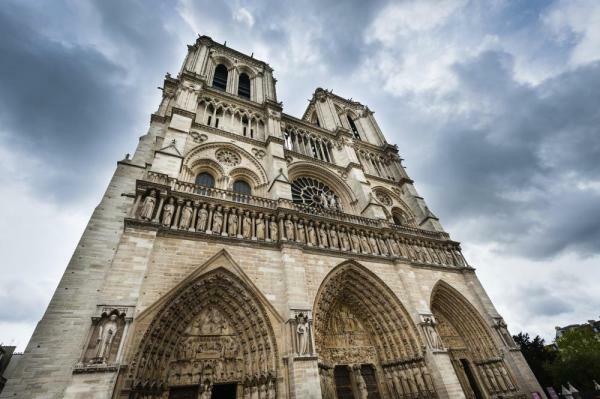 Paris also serves as the starting point for tranquil Seine River cruises, visiting top destinations in northern France, like Rousen, Les Andelys, and Normandy. 170 sq. feet. 5 cabins on Piano Deck. Picture window, sitting area, Infotainment system, safe, hair dryer, bathrobes, A/C, ample closet space. #108-113. 170 sq. feet. 4 cabins on Cello Deck. 4 cabins on Violin Deck. French balcony, sitting area, Infotainment system, safe, hair dryer, bathrobes, A/C, ample closet space. #225-230. 170 sq. feet. 26 cabins on Cello Deck. 4 cabins on Violin Deck. French balcony, sitting area, Infotainment system, safe, hair dryer, bathrobes, A/C, ample closet space. 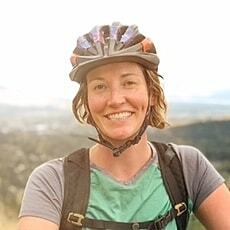 #201-224. 170 sq. feet. 20 cabins on Violin Deck. French balcony, sitting area, Infotainment system, safe, hair dryer, bathrobes, A/C, ample closet space. #305-332. - 7 nights deluxe cruise accommodations in an outside stateroom - most staterooms offer French balconies.